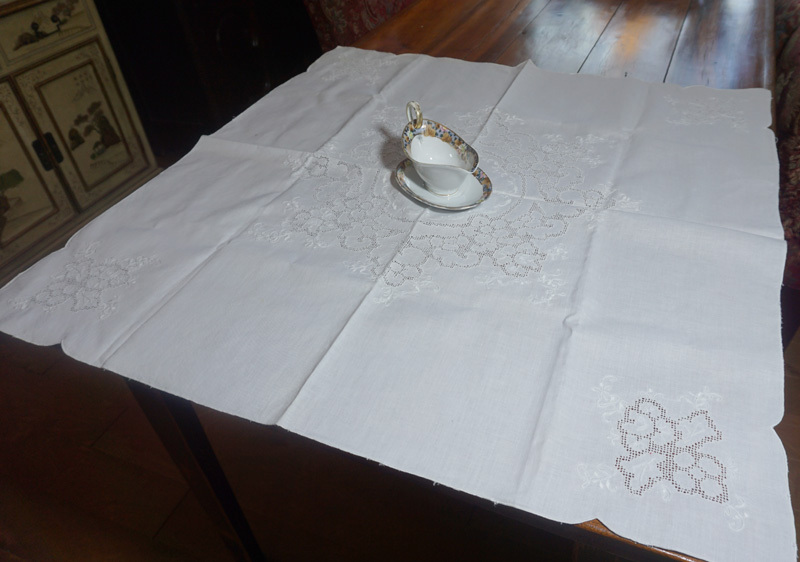 Gorgeous white table topper. 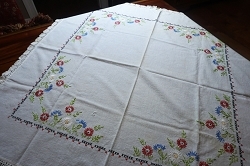 Excellent condition, 32" square. 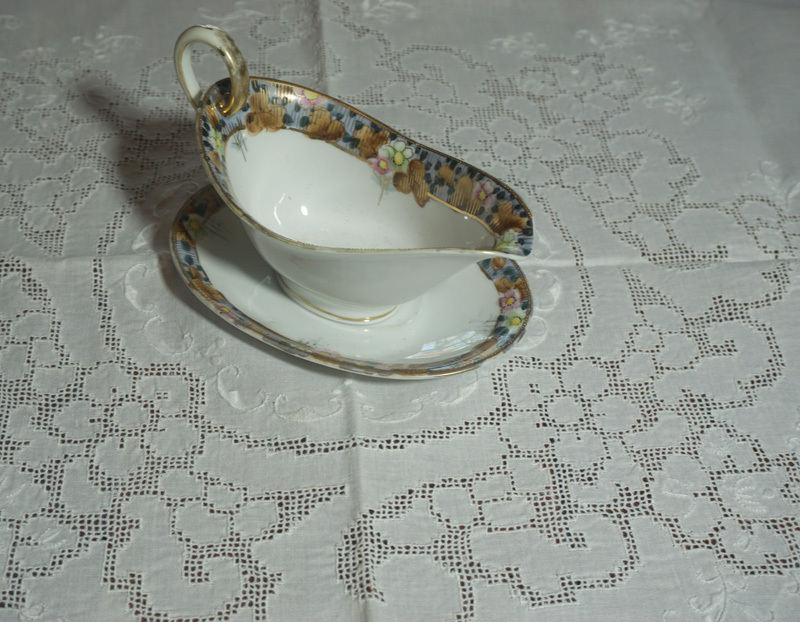 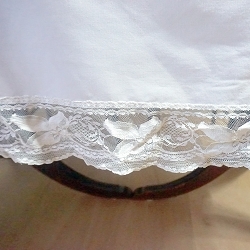 Filet lace & white embroidery, scalloped edges. 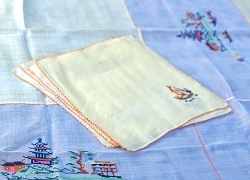 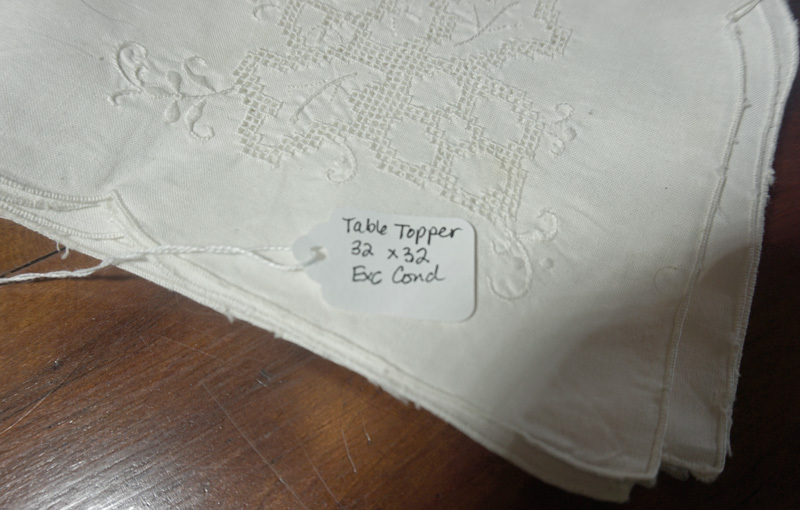 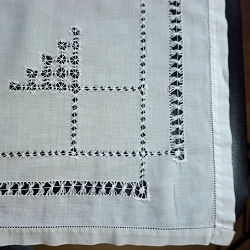 Like a table runner, a table topper can be used alone or on top of your tablecloth to add an extra layer of decor. 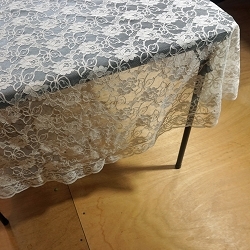 A square table topper like this one looks fabulous to top off a round table.